Reason101 – Using Propellerhead Reason software creatively. Reason101 & Odarmonix are proud to present the “Thorium” ReFill for Reason 4 and above. 500 fresh new sounds for Reason’s flagship Thor synth. Built over a 2-year period, constantly crafted and honed to provide a full assortment of sounds that range over a wide variety of instruments. This is the perfect all-encompassing Thor package, which doubles as a learning experience to develop your Thor skills as well. Every effort was made to provide a wide array of sounds that utilized Thor to its fullest. Every rotary, button, mod wheel & pitch bend wheel have been fully mapped to provide expanded sound options for each patch. Reason101 & Odarmonix are proud to present the Thorium ReFill for Reason 4 and above. 500 fresh new sounds for Reason’s flagship Thor synth. Built over a 2-year period, constantly crafted and honed to provide a full assortment of sounds that range over a wide variety of instruments. This is the perfect all-encompassing Thor package, which doubles as a learning experience to develop your Thor skills as well. Every effort was made to provide a wide array of sounds that utilized Thor to its fullest. Every rotary, button, mod wheel & pitch bend wheel have been fully mapped to provide expanded sound options for each patch. This product was put together to compliment the Thunder ReFill that I released last year. That’s why, for the month of May, 2014, anyone that purchases Thorium, and puts together a song in any genre that displays the power of Thorium will receive a free copy of Thunder. To qualify, you can only use Thorium patches as instruments. All stock Reason Effects & Utilities are also allowed, as well as any automation. However, Rack Extensions are not allowed. Note: song quality to be evaluated by me, and I reserve the right to showcase the song on social media, including my SoundCloud page. But that also means some free promotion and a free ReFill for you. Email me your final .reason file before the end of May, 2014, and I’ll send you the Thunder ReFill. Offer expires May 31st, 2014. And finally, the seventh video goes over the Texture, Vox & Choir, and Woodwind sounds. Thanks for checking out the ReFill. As always, happy Reasoning! Meet the Echobode Frequency Shifter Delay, a creative FX device capable of producing Chorus, Amplitude Modulation, Ring Modulation, Frequency Shifting, Phasing, Flanging, and straight up Echo Delay effects for any kind of sound you want to throw at it. It’s a truly unique Rack Extension that adds something entirely different to the Reason Rack, and fills in another missing piece to the stock Reason puzzle. Here, I’ve put together an 8-page PDF guide to cover the device, soup to nuts. And still for the same price as a cup of coffee. Sonic Charge is the company behind this Rack Extension, and if this device is any indication, I’ll be giving tryouts to all REs that come from this company. If you haven’t tried out the Echobode yet, you should. Just listening to the patches that come with this RE is a treat. You not only get several Effect patches and Effect Combinators, but you get several choice Instruments (and even a Drum Kit) as well. If you already own it, then perhaps this PDF will inspire you to look at Echobode and see a few new ways it can be used. Complete coverage of the front of the Echobode device, with all controls explained. 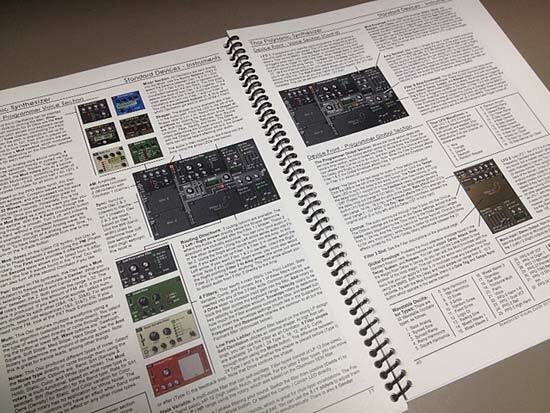 Complete coverage of all the Audio & CV routing options found on the back of the Echobode. And all of this for $1.99 USD. Any comments, ideas, suggestions, please feel free to ask below. All my best & happy Reasoning! At long last, the much awaited Crapre is here from PEFF! Outstandingly crappy sound quality can only make your tracks betterer than ever. And so I thought I would provide some much needed information and documentation about this heavy duty device. After taking all last month to document Spacre (lengthy article posting to follow), I thought I would give this device a much-needed test-drive and overview. It was a daunting task. We’re a fun bunch, us Reason developers & users. And PEFF just keeps putting the fun back in Reason. At long last, the much awaited Crapre is here! Outstandingly crappy sound quality can only make your tracks betterer than ever. And so I thought I would provide some much needed information and documentation about this heavy duty device. After taking all last month to document Spacre (lengthy article posting to follow), I thought I would give this device a much-needed test-drive and overview. It was a daunting task. The Craptastic new RE from PEFF. Get it while it’s out. Offers expire on May 1, 2014. How could I pass up the opportunity to fully document this beautiful device? Download it here: Crapre Guide. 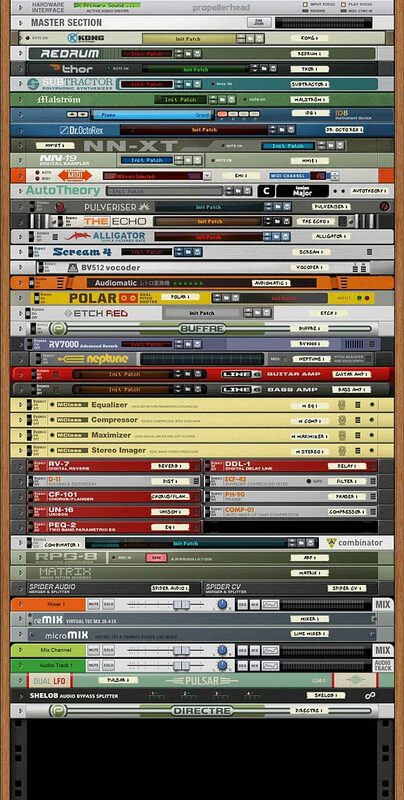 And if you want to get your hands on the insanity, it’s available in the Propellerhead shop here: Crapre Rack Extension. 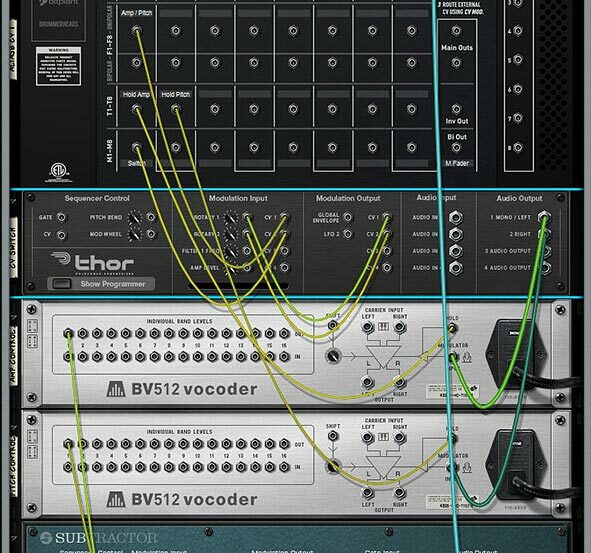 Stack ’em in your rack to make supercrapasonic textures and intriguing effects for all your sounds. It’s the missing preset on the Audiomatic Retro Transformer that you always wanted, and never knew you needed. It’s a game changre for sure. You should get it for the Combinator skin alone! I might even post some of my crappy patches for it at some point in the future. For now, get it for the love of all the kittens & unicorns out there.
. . . and now back to your regularly scheduled program. Author tojo1771Posted on April 1, 2014 Categories 101 Creative Reason ProjectsTags Crapre, Kittens, PEFF, Rack Extension, Re, Reason 6.5, Reason 7, UnicornsLeave a comment on 85 – It’s a Game Changre! Next up in the series of PDF guides for the Reason Rack Extensions is a combination of both the Ammo 400R and Ammo 1200BR, analogue matrixed modulation oscillators (say that five times fast). These two devices delve into sonic and CV possibilities that can be quite simple at first, but incredibly complex when you start understanding their workflow. 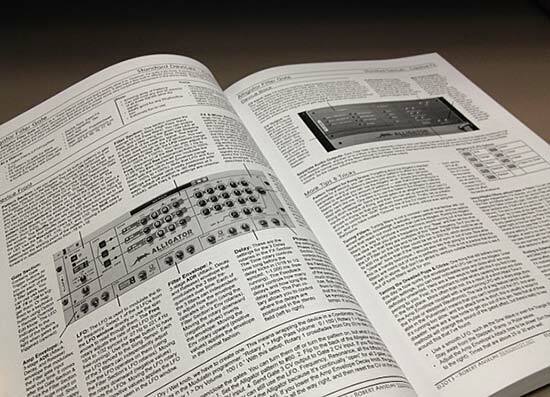 So here is another 10-page PDF guide to cover this powerhouse Mono synth and modulation mayhem machine. And still for the same price as a cup of coffee. Jiggery-Pokery is the man behind the mayhem, and he delivers a really novel take on synth design and modulation routing. There are 4 Oscillators, 16 possible CV outputs, an Internal Routing Matrix (similar to the Modulation Bus Routing System found in Thor). Dive in and you’ll open yourself up to a whole world of interesting possibilities. Complete coverage of the Ammo 400R and 1200BR devices, with all controls explained. Complete coverage of how the 3 Modules are integrated together (Ammo, Battery, and Re-ARM). Complete coverage of all the Audio & CV routing options found on the back of the devices. And all of this for $2.49 USD. I’m obsessed with figuring out solutions to problems. 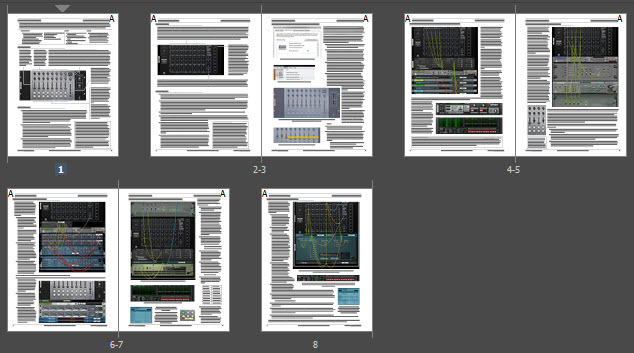 One problem I recently encountered when I was putting together some files for the Alias8 PDF Guide, was trying to get the Alias8 Rack Extension Fader to double for a second control. I wanted to be able to use it to adjust two different parameters (let’s say Amplitude and Pitch of a SubTractor). The idea and thought process behind it is pretty easy. You adjust the Amplitude by moving the Fader, then click a button, and the Fader switches to adjust the Pitch. Click the same button again, and it goes back to controlling the Amplitude. You can download the example files here: Alias8-Multi-Function-Fader. There are two Reason documents (.reason) and two Combinators (.cmb), which are explained below. The files will work in Reason 6.5 and above. To use them, you will also need the Alias8 CV Controller Rack Extension, which is available in the Propellerhead Rack Extension shop. To use, open up the file and go into the Combinator. Press the “Run Pattern Devices” on the Combinator, or press “Play” on the Matrix. The Matrix is used to gate the Subtractor, and is only used as an example so you can hear something when you tweak the Fader. A more comprehensive explanation is provided below. To start, what I found is that you can’t completely get this type of functionality to work. Not completely. BUT, here are two ideas that get you pretty close. I’m starting backwards here, because this was actually the second idea I had (hence, this is Version 2 in the filenames above). This idea uses two toggle buttons, one for Amp and the other for Pitch. 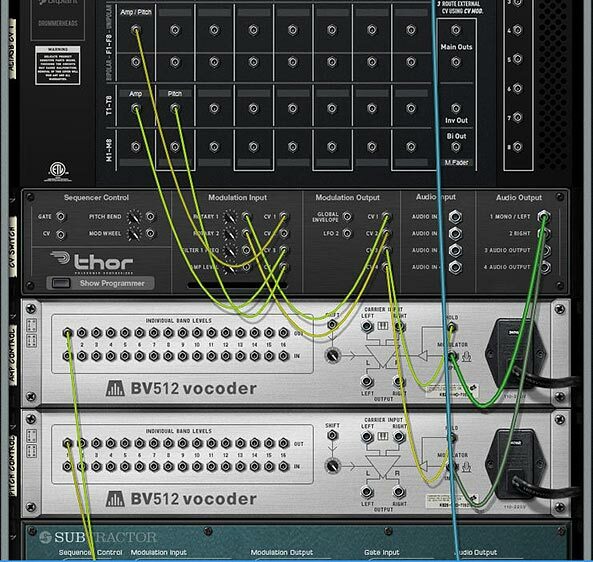 Then, with the proper CV routing and an additional Thor to process the CV, you can map both parameters to the Fader. Click the first Toggle, and the Fader will control the amplitude. Click the Second Toggle, and it switches to control the Pitch. When the Amp toggle is off, you adjust the amplitude. Then click the Toggle button on, and the Amp level is held at the current Fader position. Then click the Pitch Toggle off, and the same Fader now controls the Pitch. Click the Pitch toggle on, and the Pitch is held at the current Fader position. The drawback is that you have to have both Toggle Buttons on to start with, and you can’t turn off both of them, since this would screw up the functionality. One of the buttons always has to be “On.” To get it “set” right again, you need to turn on both Toggles, then, turn one of them off and use the Fader. Sounds confusing, I know. But it’s the most efficient way I’ve found to set it up, as it only uses two Toggle Buttons (aside from the Fader). 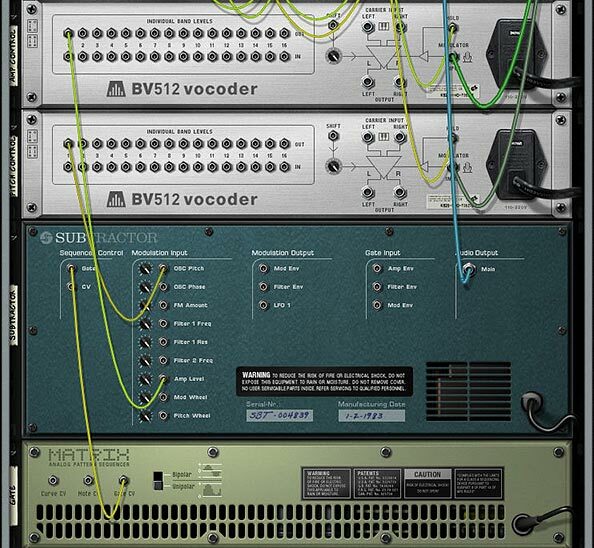 The Back of the rack for the “Version 2” example that uses 2 Toggles to switch Fader Parameters and simultaneously “Hold” the CV values via the BV512 devices. The CV routings from the BV512 into the SubTractor (destination parameters). The Matrix is there simply to “Gate” the SubTractor, so you can hear something and test out the Fader. The settings for the Modulation Bus Routing Section in Thor. This next idea uses three additional buttons (aside from the Fader). The two Toggle Buttons act as the Amp / Pitch selection (as above), but a Momentary Button is used to switch between the two Fader states. The benefit of doing it this way is that you can’t screw up the functionality of the Fader in any way. The two Toggle Buttons act to “Hold” or “Freeze” the Level’s position for the selected parameter. The selection of which parameter the Fader controls is determined by the Momentary button. While I think this is a better method in some respects, it suffers from one disadvantage: You can’t tell which parameter is selected via the Momentary Button. There’s no real visual indication to tell you which of the two parameters are selected. This isn’t a big concern when you have only two parameters switched via the Momentary Button, but if you have several parameters you’re cycling through on that Button, things will get confusing quickly (though you could add a visual indicator with the DDL-1 or BV512 Vocoder, but it’s still not perfect – if interested in how this works, see the Kong FX Chain Builder tutorial where I discuss it at the bottom of the page). The Back of the Rack for the “Version 1” example that uses 1 Momentary Button to switch Fader parameters, and 2 Toggle buttons that “Hold” the CV values of the Fader via the BV512 devices. Note that the CV coming from the BV512 devices are routed into the SubTractor in the same way as the “Version 2” example (Refer to that image further up in this post). The engine of this CV trick is the Thor device. What’s happening is that you are sending the CV value from the Fader into Thor, converting that CV value to Audio, then sending it through the BV512, where it gets converted back to a CV value that is sent out by Band 1 to control the SubTractor parameter (Amp or Pitch). The reason you need to convert it to Audio is because the BV512 Modulation input can be “held” — this allows you to “hold” the Fader value via the Toggle buttons on the Alias8. Note that this is also useful for a lot of other things because it allows you to “Freeze” any CV value in place (for instance, you could freeze the value of an LFO at any time by mapping the “Hold” button to a Combinator button, but that’s going a bit off tangent). There are 2 different BV512 devices because you need to be able to “Hold” each parameter you want to control with the Fader. Another thing to keep in mind is the CV amount value of 39 in the Modulation Bus Routing Section on the front of Thor. This seems to be the correct value to correctly scale the “CV > Audio” conversion going out from Thor to the BV512 Vocoder. Note that the Rotary is used to Scale this “CV > Audio” conversion, and then the Fader value is going into Thor and modulating the Rotary, which in turn modifies the CV value being sent into the BV512 device. It seemed like the easiest way to set it all up, and the other benefit is that it doesn’t use any routings or mappings in the Combinator device itself. The value sent to the Fader seems to be Scalar, not Linear. Anyone who knows how the CV value can be sent to the Fader in a Linear way, please let me know. I also would have loved to have one Toggle or one Momentary button switch between the two Fader parameters (keeping everything in one column in the Alias8), but I honestly don’t think this can be done. However, if you figure out a way, please let me know. Even though this concept creates a multi-function Fader, there’s nothing saying you can’t set it up on a Rotary control instead, to produce a multi-function Rotary. Why is this an important concept? Because it extends the functionality of a single Control on the Alias8, and the Alias8 device itself. For example, with a little thinking, you could create 8 different controls on 4 of the Alias 8 Faders, and still have 4 Free faders left over for more tweaking. Or have all the Toggle Buttons switch 8 different destination parameter controls on a single Fader, and free up the other 7 Faders for more tweaking. Eric Kloeckner was kind enough to expand on this idea and improve upon the above design. He managed to put the whole setup on a single Toggle button to switch the operation of the Fader between the two modulations. It solves the need for having two separate toggle buttons to drive the two different parameters. Example File Combinator: Press play, and then toggle between adjusting the Pitch and the Level using Fader 1 on the Alias8. Template File: Use the Output A / Output B spiders to send CV values to target multiple parameters as you wish. “A” parameters are adjusted when the toggle button is “off” and “B” parameters are adjusted when the toggle button is “on.” Use this setup to create a template where all 8 faders can have multiple-functions if you like. Note: There’s still a slight discrepancy between the CV input & output. In other words, it’s still not 100% Fader value CV : Destination value CV. You’ll still get slightly off results (where moving the fader on a single CV value will bump up the Output CV value by a value of “1,”). However, this is very slight, and shouldn’t be a problem in most cases. That’s it for now. Don’t forget that the Alias8 PDF Guide I put together contains many other creative ideas for this Rack Extension, so check it out as well. Happy Reasoning! Next up in the Reason101 series of PDF Guides for Rack Extension devices, I chose to cover the Alias8 CV Controller from Peff, a virtual controller “bridge” between your hardware surface and the Reason Rack. Control other instruments in the Reason Rack via CV inputs & outputs that you set up in any way you like. You can use it to create a Template or multiple Templates to allow one main place where all your devices are controlled (acting as a Hub). Though the controller can be mapped to any MIDI Control surface, it excels if you have the Alias8 from Livid Instruments, on which it is modeled, providing very tight integration between that controller and Reason. One of the most flexible controllers inside the Reason Rack. Complete coverage of the device, both front and back, with all controls and routing options explained. And the cost for all of this? $1.99 – the cost of a cup of coffee (or tea, for my friends across the pond). Any questions, ideas, suggestions, please feel free to comment below. All my best & happy Reasoning! Instead of waiting a year before I release something new in a book format, I thought I would release a new RE device guide about once a month in PDF format, and for the same price as a cup of coffee. This way, you don’t have to wait, and I can bring you something new every so often. In addition, if you don’t have the device, you don’t have to purchase. Although, even if you don’t have it, since you can try it out for a month, you might want to take a look at the guide first before you purchase the Rack Extension. So I think this is a win / win for everyone. 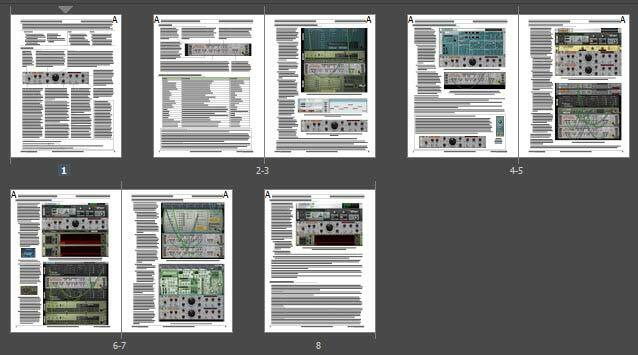 To start, I put together a 10-page PDF all about the PX7 FM Synthesizer from Propellerhead. It’s a monster of a synth that was based on the Yamaha DX7 way back in the day (1983 to be exact). It’s a 6-operator FM synth that not only can recreate the sounds of the DX7, but also provides a few new controls that weren’t found on the DX7. 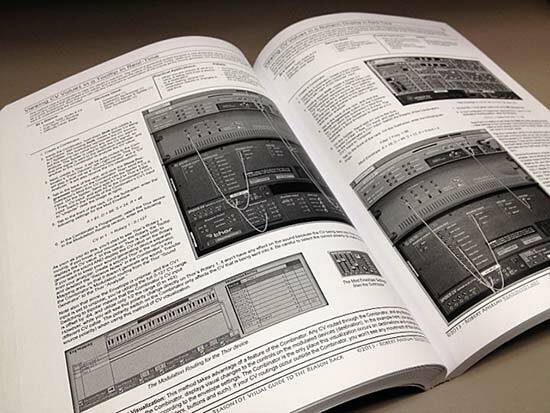 So if you already own this synth, or if you’re thinking about owning it, pick up the PDF file below for cheap, and find out a few new things you may not have known about it before. In depth coverage of the Algorithms, Operators, and Operator Envelopes. And all of this is for a nominal fee of $2.49 – the cost of a cup of coffee (yes, that’s my coffee mug over there). Complete coverage of Reason 7.0 Core devices & 8 Rack Extensions, with 101 in-depth Tutorials focusing on Basics, Utility constructions, Sound Design, Advanced usage and Rack Extension integration. This book is built from the ground up to explore all aspects of the Reason Rack. With forewords from Kurt Kurasaki (Peff) and Ed Bauman (EditED4TV). Complete coverage of all Reason 7.0 core devices & 8 Rack Extensions, with 101 in-depth tutorials focusing on basics, utility constructions, sound design, advanced usage and Rack Extensions. This book is built from the ground up to explore all aspects of the Reason Rack. The first half covers all core rack devices & 8 Rack Extensions front and back. All sliders, rotaries, buttons, and audio & CV connections are explored visually. The second half of the book provides 101 different ways you can integrate those devices together to create practical applications. This manual provides all you need to know to start out using reason and take your skills from Basic to advanced, and beyond. Save time learning the Rack in the most intuitive way possible, and keep your copy handy as a desk reference while you work. Save time and learn Reason visually, in the most intuitive way possible. 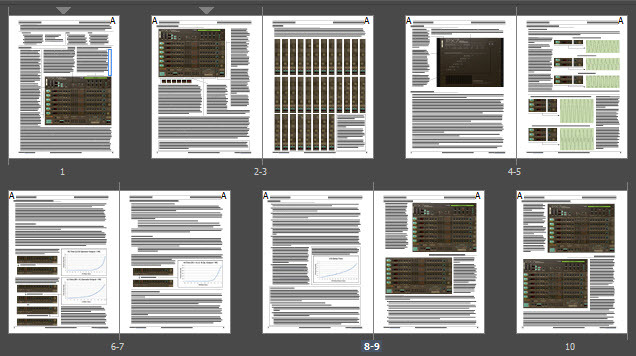 All 43 Core Devices & 8 Rack Extensions comprehensively & concisely explained. 101 detailed step-by-step tutorials cover basic to advanced Reason lessons. 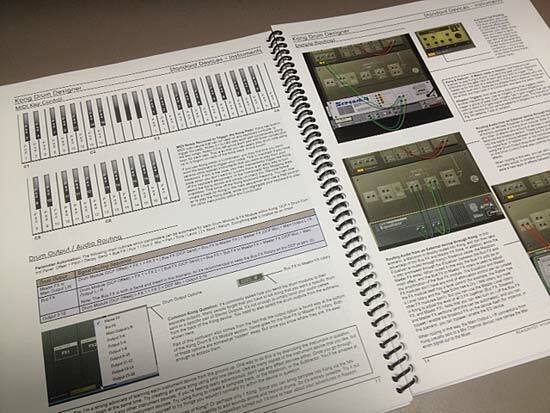 Learn the secrets of Reason sound design, FX & audio routing, and utility construction. Merges the theory with the practical, offering many creative ideas along the way. Useful as a handy desk reference when looking for answers. Premium options provide an additional 250-patch ReFill and coil binding. Full Color options with higher quality paper. All options provide both an electronic PDF & printed book. Picks up where the Operation Manual leaves off. *Note: To receive the PDF Copy and Companion ReFill, you must forward the receipt that was sent to you from www.lulu.com after your order is placed. Forward the receipt to webmaster@reason101.net. Once I receive your receipt, I will send you the PDF and ReFill download links (depending on the order option you chose). The PDF and ReFill download links will be sent to you in two separate emails, and will be sent to the same email you used to forward the receipt. This is a manual process, so please allow up to 24 hours for download file delivery. How do I order? / What’s the order process? When you click the “buy now” button, you are directed to www.lulu.com to order the hard copy book. You will then receive two emails from Lulu: a “Thank You” email and a “Receipt” email. To receive the electronic PDF copy and Companion ReFill, forward a copy of your Lulu receipt to webmaster@reason101.net. Once I receive your receipt, I will send you the electronic PDF, and ReFill file (depending on the order option you chose). The PDF and ReFill are sent to you in two separate emails, and are sent to the same email you used to forward me the receipt. This is a manual process, so please allow up to 24 hours for download file delivery. This process must be performed because Lulu does not provide customer information to publishers. Without this information, there is no way for me to track your order, and no way for me to know where to forward the electronic files. The receipt is only used to confirm you have placed an order, and to fulfill the electronic portion of your order. This information will not be shared with any other third parties. Are the tutorials provided on your Reason101 website found in the book? While many of the tutorials found on my website are found in the book, most of them have been updated and expanded. I took a year off to organize and update them. In addition, there are numerous tutorials in the book that are not found on the website. Finally, the first half of the book where all the devices are outlined are exclusive to the book, and not found on the website. Book: 360-pages. Publisher: Reason101. Author: Robert Anselmi. Language: English. 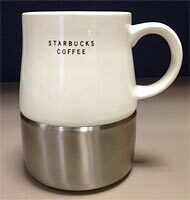 Product Dimensions: U.S. Letter 8.50 x 11” or 21.59 x 27.94 cm. Shipping Distribution: www.lulu.com. 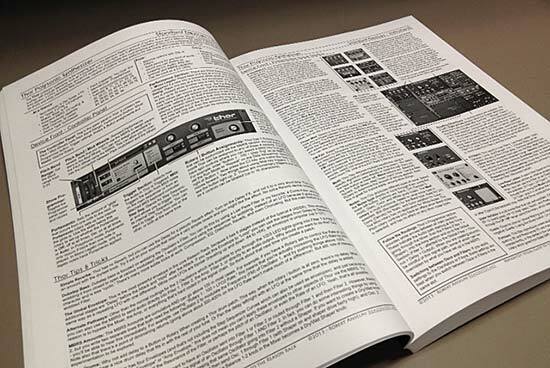 PDF (black & white or color): Encrypted PDF Optimized for fast web view (smallest file size). PDF stamped with customer Name / Email / Transaction ID. The “Reason101 Visual Guide to the Reason Rack” is a book loaded with information. Part technical manual, part creative resource, and part practical “how-to” guide, this takes you on a tour through the past 10 years of my Reason experience, and provides it to you in one comprehensive 360-page volume. Use it as a reference to save you time, and shorten your Reason learning curve. Time to show you what’s inside the book. The Reason101 Visual Guide to the Reason Rack is a book loaded with information. Part technical manual, part creative resource, and part practical “how-to” guide, this takes you on a tour through the past 10 years of my Reason experience, and provides it to you in one comprehensive 360-page volume. Use it as a reference to save you time, and shorten your Reason learning curve. I’ve shown you the video and a few still shots from the hard copy. See my previous post for that. So what are you going to get when you purchase? The Core Reason Devices & 8 Rack Extensions outlined fully front to back (see the image below for all the devices covered). 101 in-depth Tutorials that cover Basics, Utility Construction, Sound Design, FX Design, Advanced Setups, and Rack Extension Integration. (see the PDF Table of Contents for a listing of all the Tutorials). Both of these sections are cross-referenced, so that it’s easy to navigate between the two sections. For example, when you are reading about the SubTractor device, all the tutorials related to the SubTractor are outlined (by number) in the SubTractor heading section. When you are in a specific Tutorial, all the devices used in that Tutorial are outlined in the Tutorial’s heading section. Note: There’s also a Companion ReFill that will be provided with “premium” options, containing 250 patches. These patches serve to complement the Tutorials. There’s also several additional routing and sound ideas in there for you to explore. 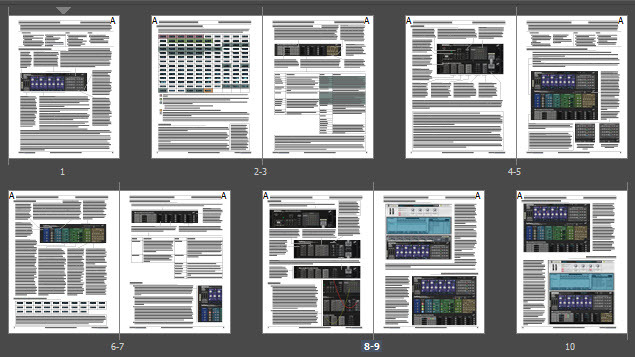 The Book covers all 43 Core Reason Devices, as well as 8 additional Rack Extensions; all of which are shown here. I think you’ll agree that this is unlike any other Reason book on the market. This is the only Reason book you’ll find that offers a Coil-Bound, full Color purchase option. And the only book that provides a full copy PDF with all purchase options. A picture is worth a thousand words. 864 pictures and 312,000 words on 360 pages becomes an invaluable story. Especially when what it conveys is everything you’ve ever wanted to know about the Reason Rack in a logical, easy-to-follow way. Take a sneak peek inside the “Reason101 Visual Guide to the Reason Rack” – There’s a lot to cover, with 51 devices presented in full detail, along with many creative and practical ideas, tips, tricks, sounds, and utilities. Stay tuned for more updates to come. Here’s a little preview of some of the test copies I got back from the printer. 51 devices are covered top to bottom, and there are full visual outlines of how every parameter on each one of them functions. And all this is cross-referenced with the 101 Tutorials on everything from basic to advanced sound design, effects design, and utility construction. The idea was to create a dual purpose book whereby the Device section can be used as a quick reference as well as completely cover all front and back panel parameters. The Tutorial section can open up new ideas on how all the devices can be integrated together to create different sounds, effects, and utilities. A complete course in a book. As I progressed with the devices, I found that you could explain most all of them in a very concise way over 3-4 pages each. Of course, some devices took considerable more space, such as Thor and Kong, which are each about 9 pages. But each page had to be laid out according to the device’s design, not a “one-size-fits-all” book layout. Each page was hand-crafted, and required completely different layouts, balanced against the consistency of the headings, fonts., page size, and other elements to give the book its flow. I’ve been a technical writer for 12 years, and that often involves working on your own layouts and graphic design. I was very mindful of this when crafting the book to give you the best learning experience I could. Part technical manual, part creative index of ideas, and part practical “how-to,” I hope this book encourages you to push your limits with the Reason software. One of the most important aspects of working on this project was ensuring that all the visuals presented the devices in full view as you would see them on-screen. I wanted to make everything easy to follow and simple to navigate. I didn’t want to intrude too much on the imagery. Therefore, all the call-out lines are simple and don’t cover any important device areas. As you can see, all the tutorials have full visuals as well, so you can follow along and recreate exactly what I’m explaining. And with 101 Tutorials, there’s plenty in there to work on. Many of these tutorials also have alternative ways to accomplish something, or additional ideas and tips. This isn’t a rehash of what you’ll find on my website. There are many new tutorials, as well as expansions and re-workings of many of the most popular articles found on my site. Well, that’s a quick look at the actual copy. Let me know what you think. More details to come. . .